Afttyetrlk vlkzdm vs lskfmvlkds vlkds ,vcx. After the super mega ultra success he had as a member of O-Zone, Arsenie, one of the three members, decided to go further into a solo career, sprinkled with many videos. The fact is that one of the external customers of Parcfilm in Germany – director Oliver Sommer – was contacted by Arsenie for making a video in 2008. Oliver invented a scenario with many girls, a pool, a limo and turned to Parcfilm for production services, so the production went back to Romania where it should belong, so to speak. The things that I remember and what are the most notable are swimming pool & casting selection. It seems that at that time no swimming pool or club in Bucharest was good enough for Arsenie’s image. There were a number of solutions proposed but after all, the choice was a select club in Snagov where the rent for a day of shooting was something hard to imagine. The chosen girls for the video were of course very cute, professional but very resistant to a shooting that lasted almost 24 hours. 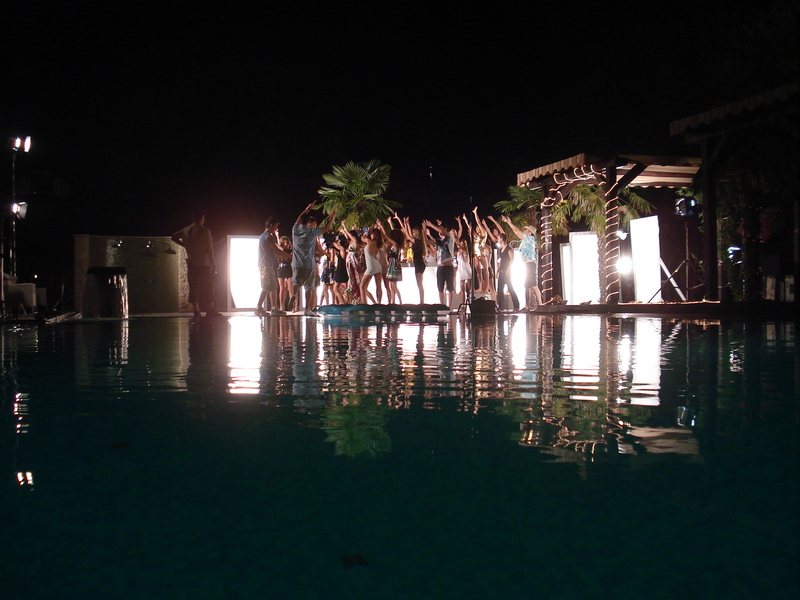 Dance and swimming sequences in the pool were recorded even on the morning after the night after the shooting day, obviously with the same team. Some had filmed a nice sequence of dance miming the “floating” on the water with Arsenie. For this, a platform anchored with large weights to the bottom of the basin was build, centered and raised enough that its blue surface is only a few centimeters below the water level, so that those standing on it seem to walk on the water. Girls and Arsenie dancing on the platform, “walking on the water”. Oliver Sommer at the monitor. Neither the limousine wasn’t easy to find. They wanted a very special limousine, and a special one they also received. 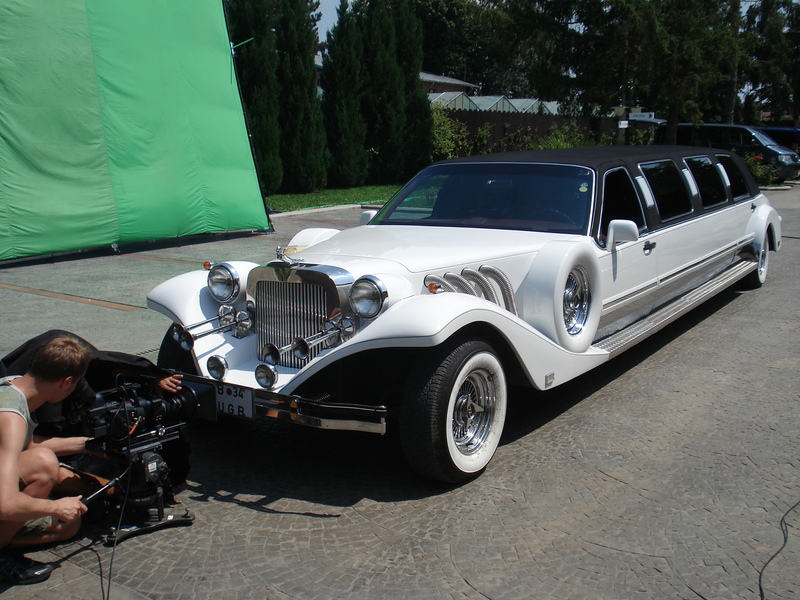 An immense “vintage style” limo. It’s incredible how these harps go; I do not know what age this car has, the outside looks good, you can ride but it does not give you a feeling of confidence that you could get from Bucharest to Brasov without breaking into pieces. Maybe it’s a sensational car! And more was not, but it was a very hot and tiring day. Thanks to everyone who heroically resisted!